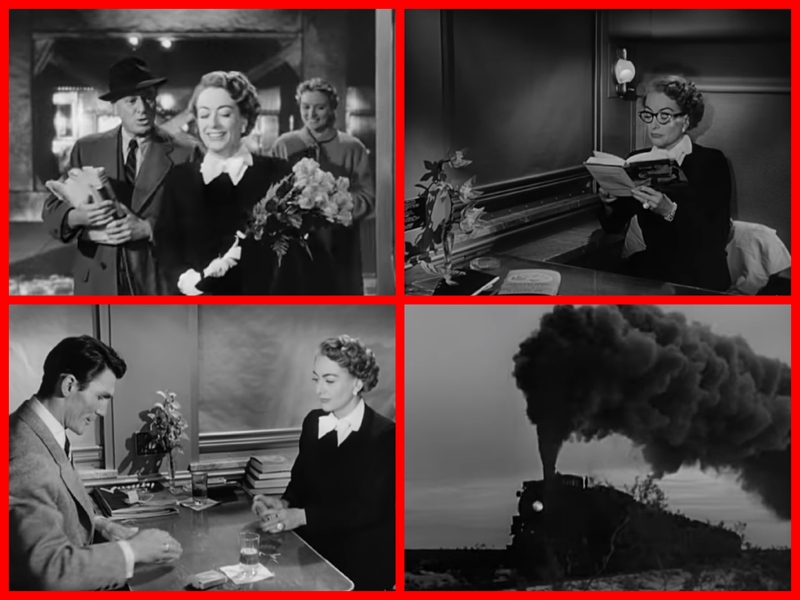 Home / 1940s / In the 1950s SUDDEN FEAR film star Joan Crawford heads to San Francisco on the famed California Zephyr. 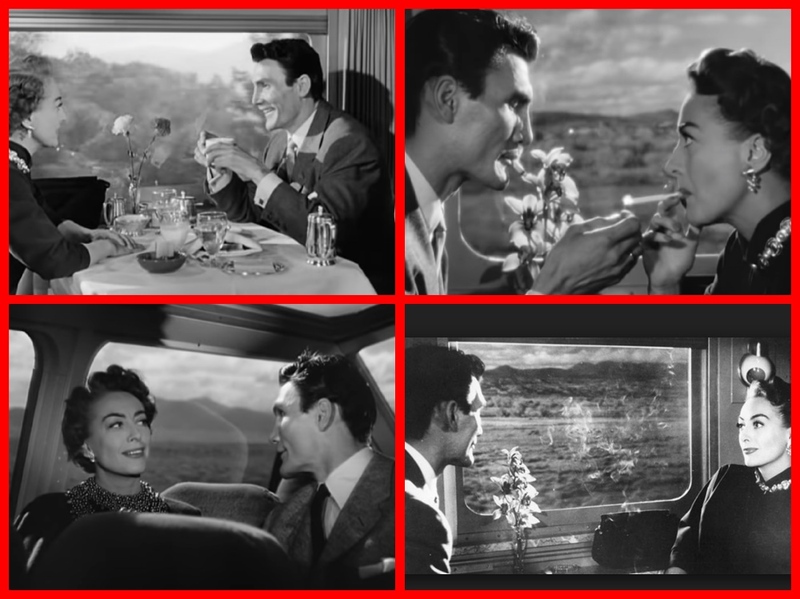 The streamliner California Zephyr was featured in Columbia Pictures 1952 thriller SUDDEN FEAR starring Joan Crawford and Jack Palance. 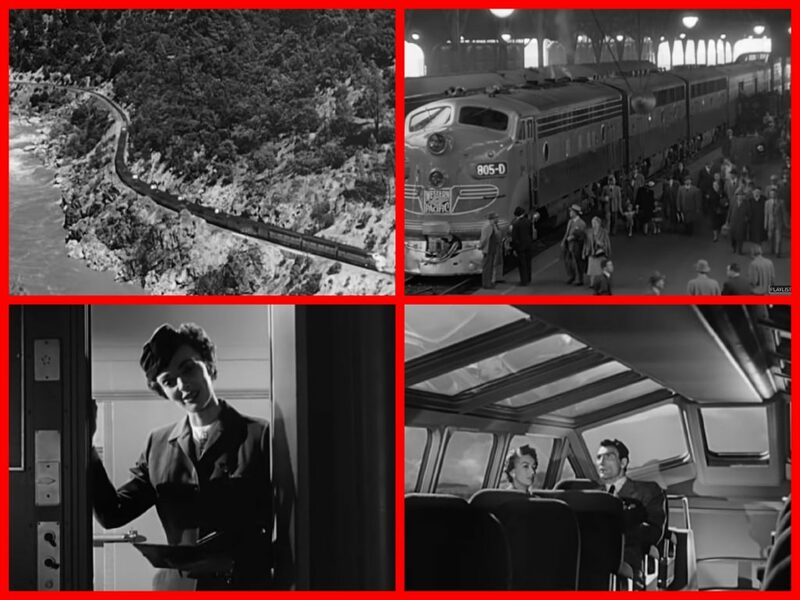 Included were exterior and interior scenes aboard the train. Grand Central Station and the Oakland Mole were highlighted where Crawford respectively boards and disembarks to head across the bay to San Francisco by ferry boat. 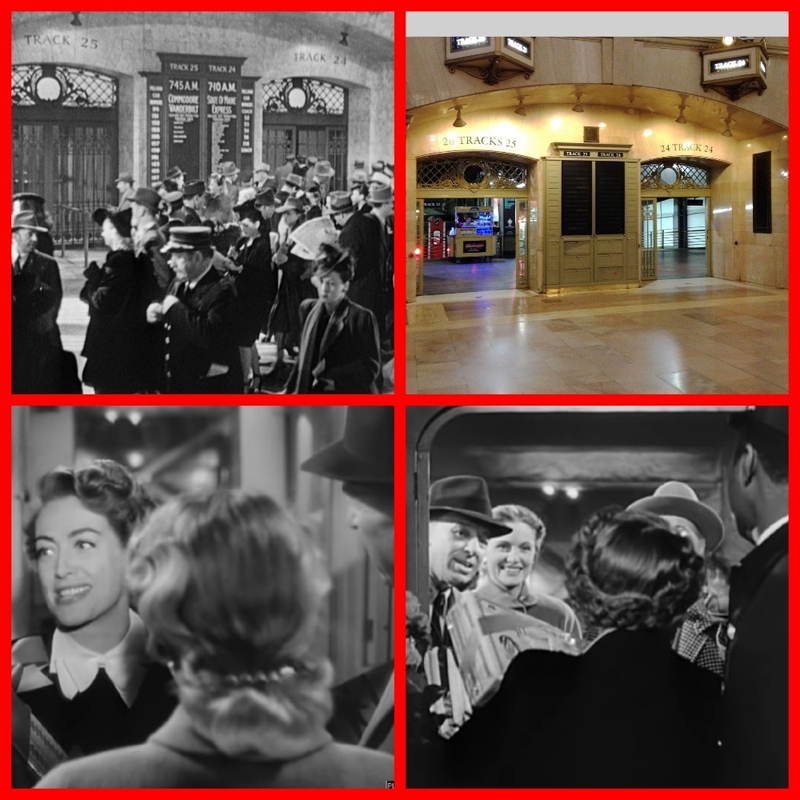 After playwright and wealthy heiress, Myra Hudson’s (Joan Crawford) play opens as a huge Broadway hit; she returns home by train to San Francisco. She is then seen off by friends at New York’s Grand Central Terminal – tracks 24/25. The beautiful Midtown Beaux Arts building at 42nd Street and Park Avenue has hardly changed over the years, attracting tourists as well as travelers. There are images of the gates in the film and as they are seen today. She has been booked a through Pullman sleeping car from New York to San Francisco. 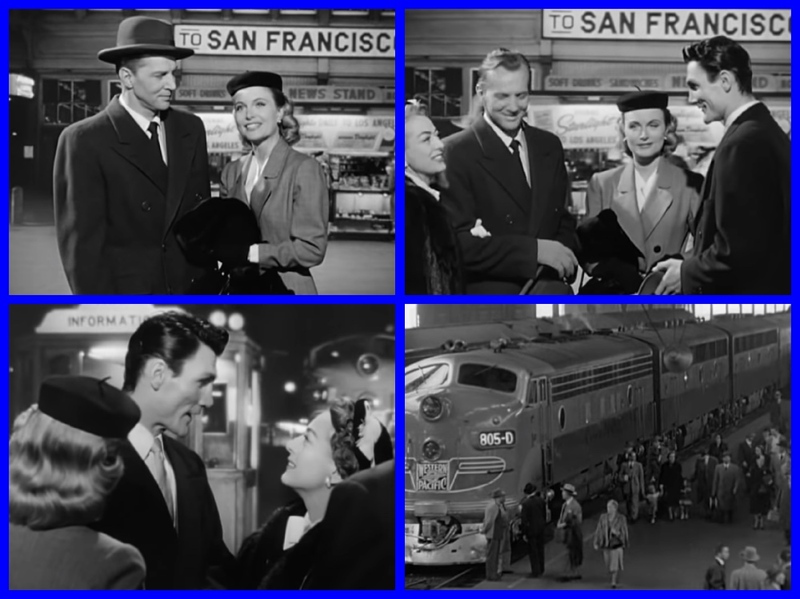 She boards the New York Central’s Lake Shore Limited and who should show up but Lester Blaine (Jack Palance) who Myra had fired for not being romantic-looking enough for her new play. For the duration of the cross-country journey, Lester turns on the charm, seeming to harbor no grudge whatsoever. They board the luxury California Zephyr in Chicago. They share a quiet moment in one of the Zephyr’s Vistadome viewing cars, dine in the dining car and play cards in Myra’s Pullman Drawing Room. In a great irony, Myra finds herself falling for him. SUDDEN FEAR – The movie. Other trains may have been more luxurious but none could compare to the California Zephyr in the way of friendly service and breathtaking scenery. 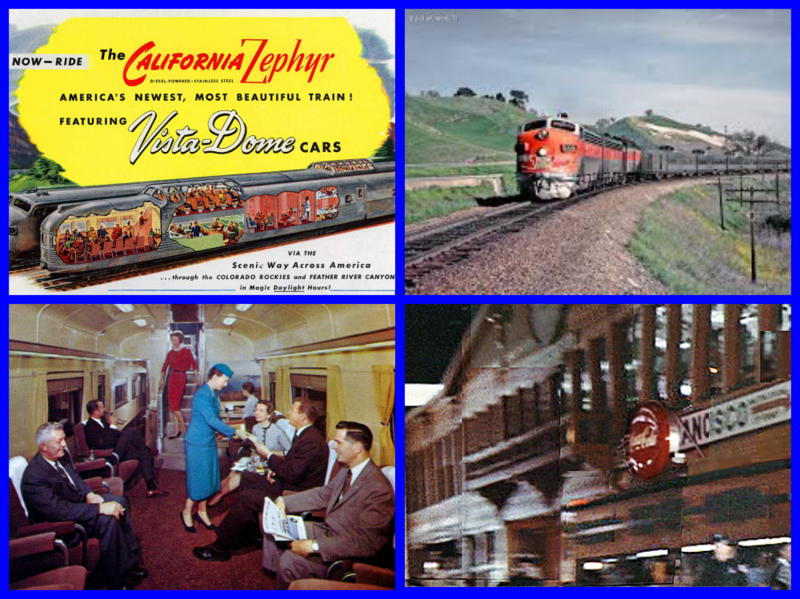 Operated jointly by the Chicago, Burlington & Quincy (the Burlington Route); Denver & Rio Grande Western (Rio Grande); and Western Pacific the train traveled through some of the most spectacular scenery in the country. As a result, it is not surprising the CZ continued to do well even during rail travel’s waning years after World War II. Following the CZ’s cancellation as a through service in 1970, Rio Grande picked up the torch and operated a truncated version along its territory between Denver and Salt Lake City/Ogden as the Rio Grande Zephyr. The RGZ remained in service for more than a decade until the D&RGW finally handed over the train to Amtrak during the early 1980s. The national carrier brought back the California Zephyr name and today it remains one of the most popular long-distance trains in the country. Historically, the CZ was also noteworthy as being the first-ever transcontinental train to run with dome cars. 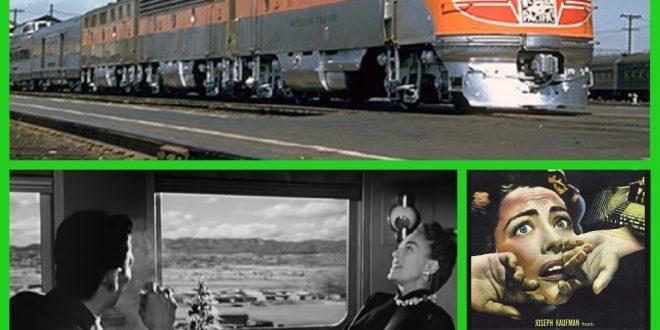 To provide the very best scenic enjoyment, the train was scheduled so vacationers could enjoy the fabulous views through Colorado, Utah, Nevada, and California during daylight hours. 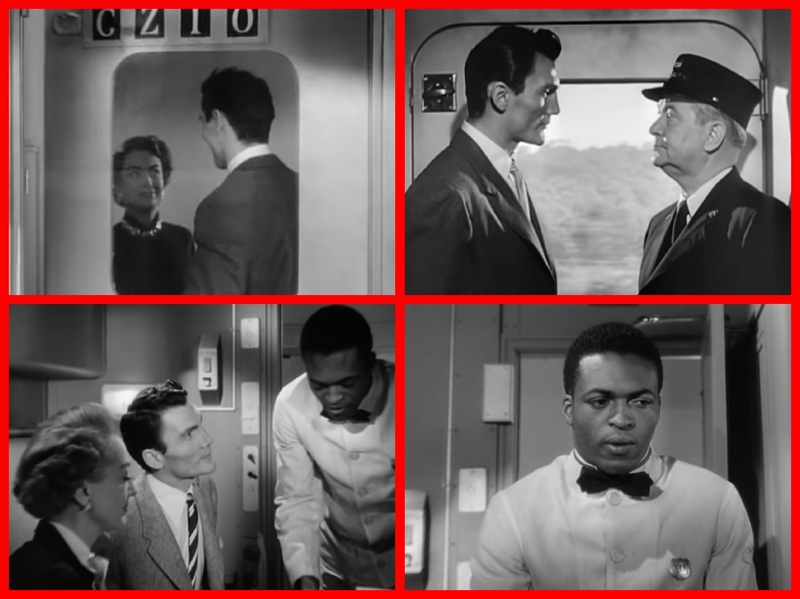 Beyond the scenery, the CZ success was thanks to its friendly staff; passengers were treated warmly no matter if you were just a vacationer or a well-known celebrity (although the “rich and famous” tended to take other trains like the Super Chief and City of Los Angeles). There were Pullman and chair car services, with Dome cars along with Coffee Shop and full Dining Car service. And then, there were the “Zephyrettes,” a distinctively Burlington creation; these hostesses were courteous, friendly, and just plain nice young women that made a lasting impression on thousands of passengers. Other attractive features included prerecorded music played into passenger’s rooms and hall windows which allowed guests to enjoy views from both sides of the train. If there was one signature car aboard-train, similar in nature to the Super Chief’s “Turquoise Room,” it was the buffet-lounge. Given the moniker of “Cable Car Room,” it was dressed in murals and motifs from the Bay Area and even featured scale models of San Francisco’s trademark cable cars. According to the train’s 1950 timetable it could complete a Chicago to San Francisco run in just over two days across the three different railroads; such scheduling was not bad considering its scenic routing and the fact that Santa Fe’s “San Francisco Chief” made the run only about 3.5 hours faster (47 hours and 30 minutes). After only a few years of operation it was clear the railroads were on to something; annually the CZ averaged about 80% ridership and was often sold out during the summer. In 1952 new cars were ordered to meet demand and sellouts persisted throughout 1965. Previous: The elegant MS VICTORIA cruised out of New York.